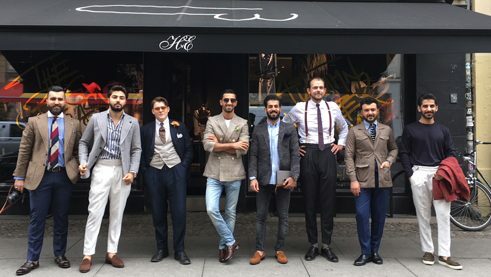 The fashion bloggers of "Mr. Erbil Gentlemen’s Club" from Kurdistan are a worldwide success. They wish to tell the true story of life in their homeland. At the invitation of the Federal Foreign Office, they came to the capital city for a visit. They wear button-down shirts, vests, suit trousers, ties and wristwatches, their hair is perfectly styled, their beards accurately trimmed. 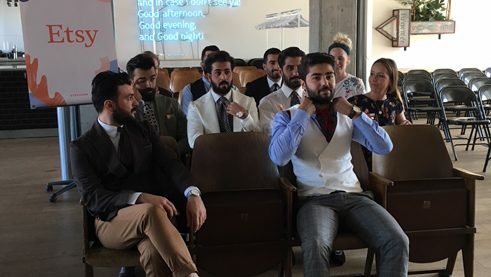 When it comes to style, the members of "Mr. Erbil Gentleman’s Club" make quite an impression when we meet them during their visit to the Goethe-Institut Berlin. The well-tailored gents all come from Kurdistan, an autonomous area in Northern Iraq. The participants are special because they are the only ones in this region who have attracted international attention as bloggers, influencers and fashion designers. At first glance, it seems unusual that this fashion-conscious group came together to inspire the world with their sense of style. Even though Erbil is considered comparatively safe within Iraq, most news that has reached the public in recent years has been about the region’s unstable political situation. But that’s what "Mr. Erbil Gentlemen’s Club" wants to change. More than 90,000 people follow the creative collective’s posts on Instagram. Now, seven of the 15 members visited Berlin at the invitation of the Federal Foreign Office. 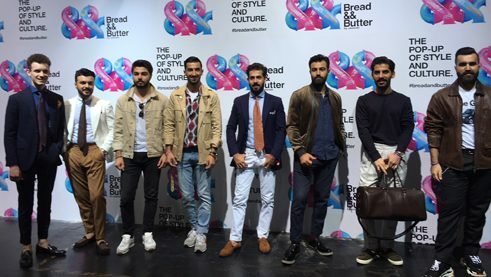 At the Bread and Butter fashion fair they found inspiration for their work, made contacts with potential customers and business partners and talked shop with fashion blogger Carl Jakob Haupt (Dandy’s Diary). Mr. Erbil’s desire to change how their country is perceived in the international media has succeeded so far. They demonstrate that everyday life in Kurdistan is by no means dominated by violence. In 2016, the club was founded by young men between the ages of 20 and 30. At that time, many young people were leaving the country because the economy was in a serious crisis, recalls Rawa Ali. The terrorist militia Islamic State had brought territories only 50 kilometres from Erbil under their control. So far, Mr. Erbil has launched three products: There are fine grey and brown ties made of goats’ hair by local tailors and packaged in handmade wooden boxes. Beard oil and beard combs complete the assortment. But the sale of products to other countries is difficult. “If we send a package from Erbil to Europe, the cost of postage alone is $90,” says Salih Ali. The group won’t be discouraged, but has already planned its next project. They want to set up a studio in Erbil, with a hair salon, café and shop. The business plan is already in place; they have been working on it for a year and are now looking for investors. The assortment will be enhanced with suits and vests. It is also important for the group to increasingly put women in the limelight. They post a story of a woman making a name for herself in Kurdistan – whether as an entrepreneur, artist or activist – on Instagram every Thursday under the heading “Women’s Inspiration.” In this way, the gentlemen draw a multi-faceted portrait of their society. The Goethe-Institut Visitors Programme carried out the information tour on behalf of the Federal Foreign Office. Amongst other things, it was responsible for the schedule of the visitors and it accompanied them.